Amazon UK now lists the Samsung Galaxy Tab at £679.99 after it was previously priced in at a hefty £799.99 on the online retailer site. Samsung has still yet to officially announce details on a price or release date for its Android tablet device, but eyebrows were understandably raised when Amazon revealed that the unlocked and SIM-free Galaxy Tab would be a £100 more than the highest specced iPad. Amazon still lists the RRP for the 16GB model as £800, but having reduced the price by more than £100, it's certainly a step in the right direction. 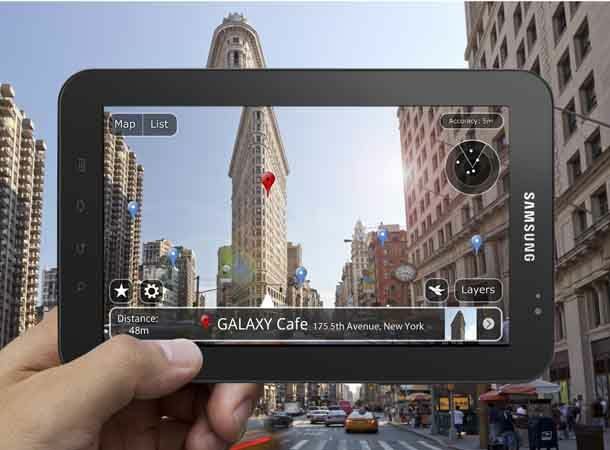 The Galaxy Tab which features a 1GHz processor, Google's Android 2.2, FroYo operating system and a front facing camera for video calls, is also tipped to launch on November 1st. Is the Samsung Galaxy Tab price cut enough? Let us know via Twitter and Facebook.